GUE has become a global leader in scuba education. One inspiration for GUE’s creation was to provide the highest quality diver training programs possible to produce divers who are skilled, competent, and safe—and having fun! Enhanced diving skills increase diver safety, reduce damage to fragile marine ecosystems, and open the door to expanded opportunities for exploration and conservation of diverse underwater environments. 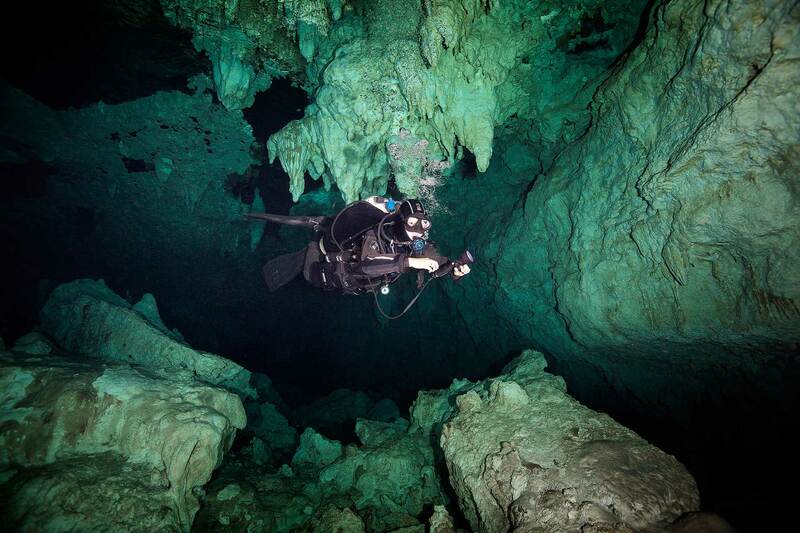 Our internationally recognized programs include certifications in everything from beginning recreational diving, to specialties such as drysuit or diver propulsion vehicle use, to the most advanced cave, technical, and rebreather diving. We have incorporated an unprecedented quality control system into our training programs that includes regular re-qualification for instructors in addition to mandatory student certification renewals and assessments. So, you want to become a GUE-trained diver… these are the essential things you should know to get you started! Crafted to develop exceptional in-water competence, enhancing safety without compromising the FUN side of underwater exploration, the GUE diver training programme is supported by an unprecedented quality control system. You’ll discover a whole new world, build on a solid foundation for underwater exploration, manage your gas, plan your dives and learn about being safe and responsible in the water with the GUE System. Over this 6-day (minimum) course, you’ll do 14 dives, have at least 40 hours of instruction that include theory, drills and in-water work. Your instructor will take you through the equipment, dive team protocols, drills, techniques and skills required to build a strong foundation for continuing education. Swim at least 300 yards/275 meters in less than 14 minutes without stopping. Swim at least 50 feet/15 meters on a breath hold while submerged. 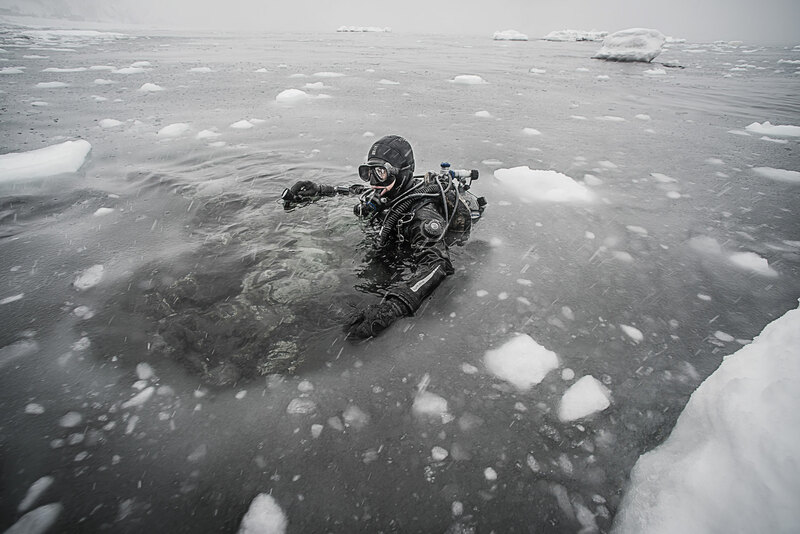 Demonstrate safe diving techniques, develop a keen awareness for team members, execute effective propulsion techniques, demonstrate good buoyancy and trim, show aptitude in open water skills and rescue procedures. At the end of it all, you’ll receive the certification and, also be NITROX certified! ALL GUE training courses require a very high level of mastery and discipline, so it will definitely help that you are physically (and mentally) fit and smoking is highly discouraged! This is a no-decompression course structured to prepare divers for deeper recreational diving. This is a chance to further hone your skills, learn more about emergency management and understand the safe use of Nitrox and Triox for extended bottom times, manage the use of Helium to minimize narcosis, CO2, gas density and post-dive “nitrogen stress”. This course requires that you have 25 logged dives and passed the GUE Recreational Diver Level 1 course or a GUE Fundamentals course at the “recreational” level. Over this 5-day (minimum) course, you’ll do 10 dives, have at least 50 hours of instruction that include theory, drills and in-water work. You’ll have an in-depth knowledge of diving physics and physiology, enhanced situational awareness, a better grasp of decompression, safety and emergency procedures, learn about TRIOX and improve your rescue and first aid skills by the end of this course. Build on and strengthen your skills when you demonstrate safe diving techniques, develop a keen awareness for team members, execute effective propulsion techniques, demonstrate good buoyancy and trim, show aptitude in open water skills and rescue procedures. This is a limited decompression course structured to prepare divers for deeper recreational diving. You’ll have a chance to apply your knowledge acquired in the Recreational Diver Level 2 course, use double back-gas tanks/cylinders and become familiar with the use of a single decompression cylinder for stage decompression techniques. This course requires that you have 75 logged dives and passed the GUE Recreational Diver Level 2 course or a GUE Fundamentals course at the “recreational” level, and a GUE Doubles Primer course or be proficient in doubles with at least 25 logged dives. Over this 5-day course, you’ll do 8 dives, have at least 40 hours of instruction that include theory, drills and in-water work. Above and beyond the mastery of the various techniques and skills, you’ll become acquainted with Normoxic Trimix, manage your gases, learn about decompression dynamics, apply safety and gas protocols, and failure procedures. Perfect your skills in safety, awareness, drills, protocols, gas management, rescue and propulsion. At the end of this course, you will be the ROLE MODEL for all recreational divers. You will become what other recreational divers ASPIRE to BE. This course is designed on one hand, for that recreational diver, who does not desire further diver training, to improve on his/her basic diving skills. On the other hand, it is also a portal for non-GUE trained divers who wish to pursue the GUE route. This course is open to divers with GUE Recreational Diver Level 1 certification or any open water certification from a recognized training agency. Over this 4-day course, you’ll do 6 dives, have at least 30 hours of instruction that include theory, drills and in-water work. You’ll work at building a solid skill base, streamline your equipment, greatly enhance your diving techniques and be initiated into the GUE system. © Living Oceans Pte Ltd.